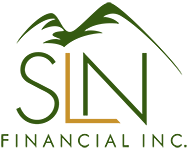 February 10, 2016 - Decrease Stress at Family Budget Meetings | SLN Financial, Inc. In many families, one person is motivated to budget and save while others take a more relaxed approach to finances. Unfortunately, this difference can lead to conflict over different priorities and bad feelings that erode harmony. Avoid power struggles by working together to set priorities. Agree in advance how to handle budget tracking in a way that suits different communication styles. One way to avoid financial fights or fraught conversations is to meet regularly (weekly or biweekly) to discuss short- and long-term goals, set the budget, and track spending. Regular meetings can be brief and productive, and will help you avoid having your budget go too far off the rails. We also recommend setting a specific budget for each month ahead of time. Instead of trying to stick to an identical budget every month, meet a few days before the month begins and discuss where the money will go in the weeks ahead. If someone overspends and busts the budget, be forgiving. Mistakes happen, and it’s important to think of personal finance as a journey toward better behavior – it’ll involve a lot of learning along the way. Instead of guilt trips, work on getting back on track. Can you take money out of another category? Can you take it from next month’s budget? It’s also critical to avoid bringing up past missteps. Leave the past in the past and focus on the present and future. Few people like being told what they can or cannot spend money on. Instead of auditing latte habits and wardrobe splurges, consider setting aside a personal spending allowance for each person. As long as purchases stay within that allowance, they’re not up for debate. Giving each other a little breathing room can help avoid bickering over spending habits.